I was on my way to a haircut the day before when I passed by this food truck. It was close to dinner and my better half was cooking so I didn’t want to spoil my appetite, but I was a little hungry and needed something to tide me over for a couple of hours, so I pulled over. 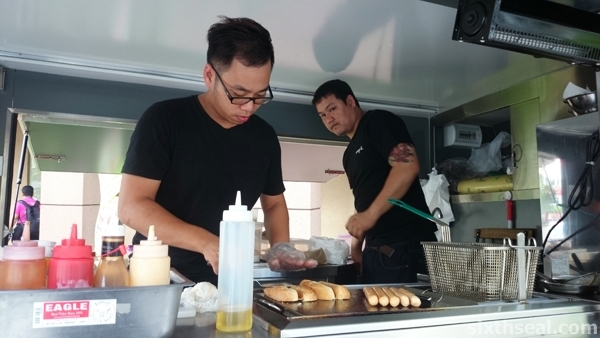 Amaze K Cafe is actually a food truck that sells all kinds of hotdogs. It was their very first day of operations when I visited on Friday evening! I talked to the two guys running it for a while and they said they might not be located here all the time but they decided to situate themselves in front of Encorp Strand Mall for their première. 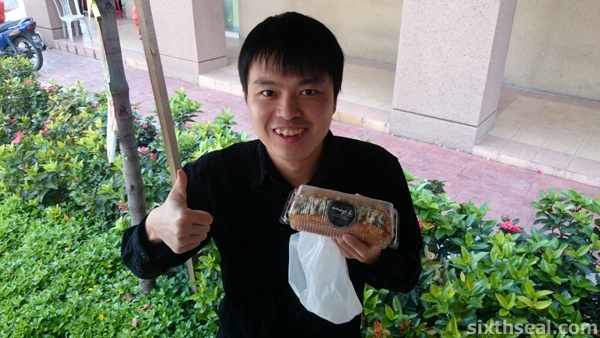 I asked for a recommendation and got their flagship Mushroom & Chicken Hotdog (RM 10). 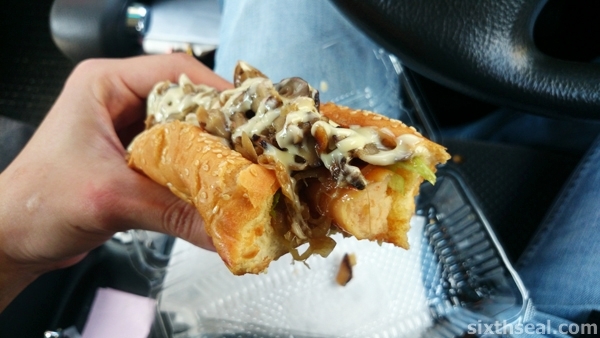 It’s the one that they’re most proud of and for good reason – the juicy chicken frank was large and has that “snap” to the bite that good sausages have. 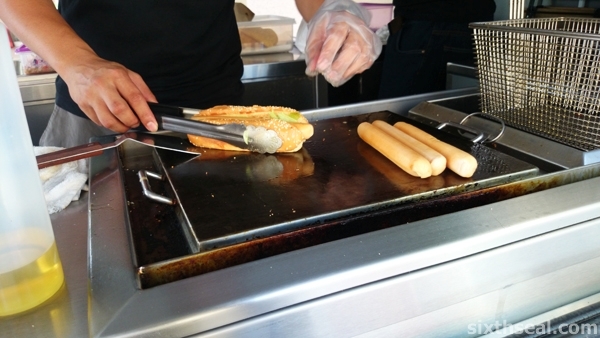 I was told the halal chicken hotdogs are specially made for them. They also recommended the Burritos (RM 11) for next time, which is just their chicken sausages wrapped in a commercially available tortilla wrap – no rice or beans, so it isn’t so much a burrito as a wrap. 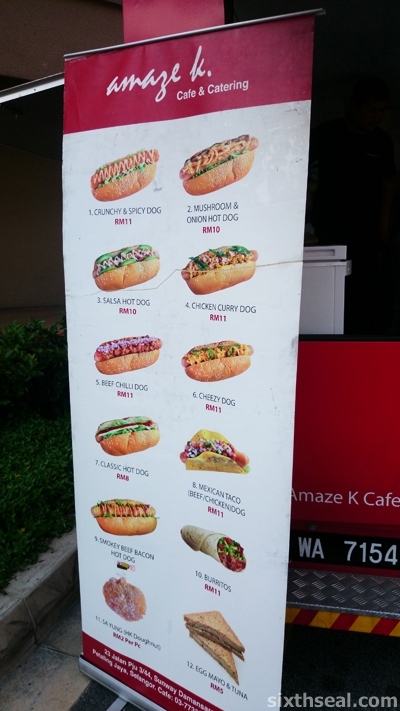 The menu items all revolves around their ½ foot chicken sausage and is either priced at RM 10 or RM 11. This is their entire menu. 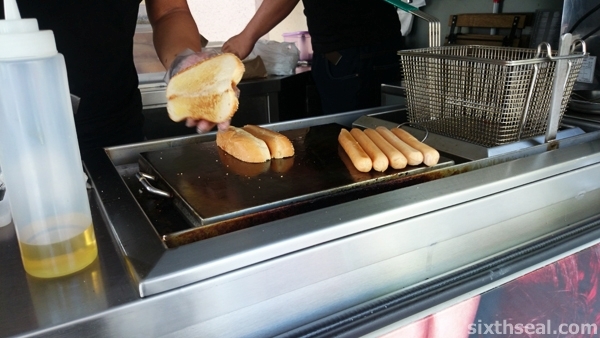 I thought the pricing is a bit on the high side for a food truck that is basically selling hotdogs. There are Ramly burger stands around (though they only operate at night) and the shops near them includes a Korean BBQ set lunch with drinks for RM 9.90 and a RM 1.90 Chinese small bowl mixed rice shop. There’s also Encorp Strand Mall’s own Sam’s Deli – which hits the exact target market as these guys are aiming for – halal deli items and the latter has a lot more choices. 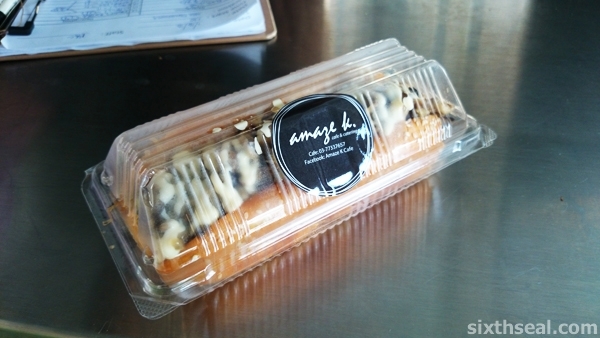 Amaze K Cafe Food Truck does a very good hotdog though – the one I had was loaded with fresh sautéed mushrooms, chicken mince sauce, and mayo and I particularly liked how the juicy mushrooms goes with the snap of the hotdog. I think they might struggle if they don’t revise their pricing, but if they do, it’ll be a welcome addition to the local food truck scene. 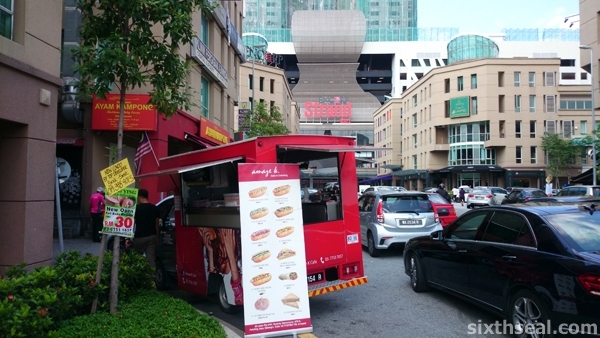 Amaze K Cafe Food Truck can be found in front of Encorp Strand Mall.